Cham is a unique dance form found on the continent of Asia, in countries with land near the Himalayan mountain range. While the true history and origins of this form are hard to trace, it is deeply rooted and practiced in Tibet, Bhutan, India in Nepal. 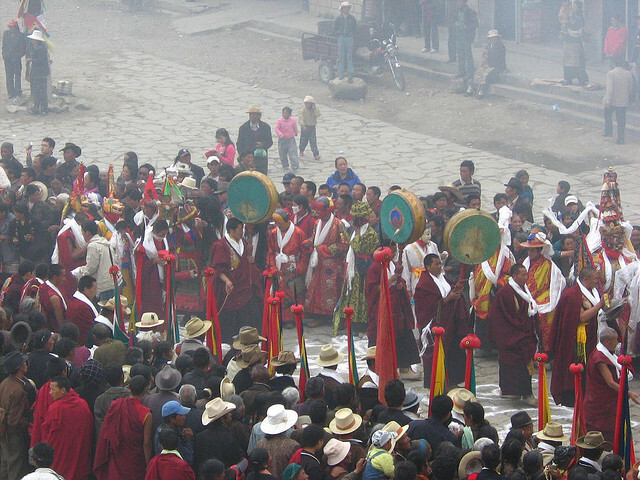 The word ‘chams’ is of Tibetan origin, and simply means “a dance.” This ancient ritual mask dance is most unique, perhaps, because it is danced exclusively by monks, and often performed outside of monasteries, or during multi-day religious festivals. The religious ties of this dance are varied, but it is mainly associated with certain sects of Buddhism, especially Tantric Buddhism. The first Cham performance occurred around 740-760 AD, when the Indian saint Padmasambhava (also known as Guru Rinpoche) was invited to Samye Monastery in Tibet, the first Tantric Buddhist monastery, to banish evil spirits. He drew thiks on the ground, or lines that invoke tantric power and cannot be crossed by spirits. He began dancing, using tantric mudras (various body positions, but predominantly of the hands) and invoking the gods. 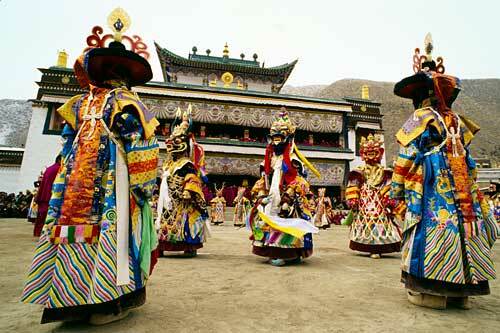 From this successful performance, some say that Cham dance gradually spread to all other Tibetan monasteries. While mostly concentrated there, it eventually spread to Bhutan, where it is similar in strength, as well as to certain regions of India and Mongolia. This dance form fits well into monastic life because it is a not just a movement style, but also a form of meditation and an offering to the gods. Stories say that the Cham dances that exist today were transmitted to Buddhist masters in highly detailed mystical visions or dreams. There are five types of common Cham dances, and the introduction of a new Cham dance would be very rare. Variety does exist in the dances, depending on the sect of the performing monastery, that monastery’s traditions, the region of performance, and the religious holiday the performance occurs on. These dances often relay moral instruction, and transmit the legends and values of the Tibetan or Bhutanese culture. These dancing monks strive to embody deities in their movements, and ultimately are trying to achieve enlightenment. Even simply witnessing the dances as an audience member is said to bring one closer to enlightenment. 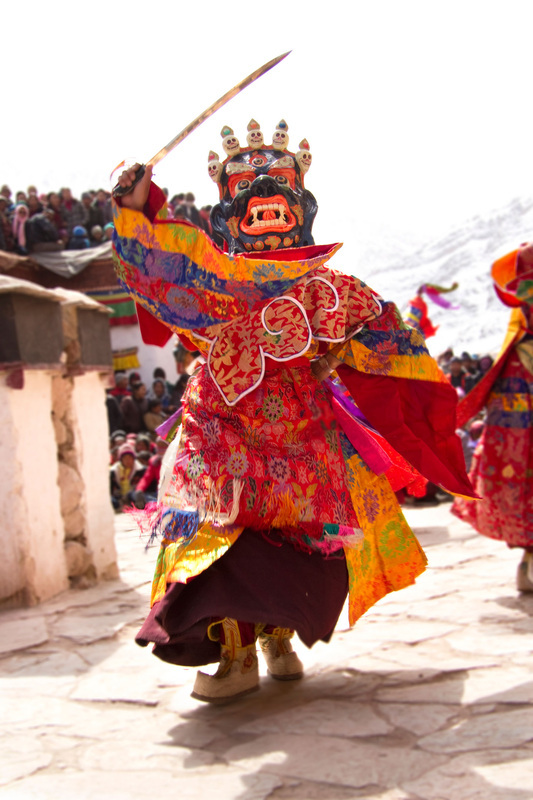 Similarly, the garb Cham dancers wear represents various deities and demons, as well as animals. Dancers are robed in highly ornamented costumes of brightly colored silk, and wear elaborate masks to further suggest an alternate identity. Sometimes they dance holding ritual instruments. Other monks accompany them, in instrumental music ensembles, playing traditional Tibetan instruments. There is a leader present who keeps time with cymbals, while others play wind instruments or drums. Because these rituals are rich with religious significance and deep cultural importance, they are multi-faceted, and Cham performances can last several days. Within a performance, the rigor of the movement varies from slow spinning and hopping on one foot, to more full-bodied, dynamic expression. Spectators are no longer expected to sit, still and silent, for the entire length of time, and as Cham dances evolve in the modern world, performances are treated as an opportunity for social gathering. Both Tibet and Bhutan have strong methods of cultural preservation, and Cham still thrives today, even in its evolved form. However, because there is no written record of Cham, there is a danger of losing the ritual art form as the number of monks begins to decrease. This is a dance form that is passed from person to person with intense practice, but families in the Himalayan regions are getting smaller, and fewer children are joining monasteries due to economic instability. While this is a deeply spiritual, hypnotic dance form that deserves to stand the test of time, many scholars predict that Cham will fade within the next 100 years. The following video shows an interesting glimpse of a modern-day Cham performance, during which children are laughing, and monks can be seen filming the dance. What is pure intimidation? A raw essence of sheer power matched only by sheer numbers in today’s technology driven world we often forget about this idea of power and how it can be used in its truest form. The traditional war dance of New Zealand otherwise known as the Haka is a pure look at the power of pure intimidation and creates a sense of oncoming and impending doom to adversaries on the receiving end of its wrath. What makes the Haka so intimidating? And for that matter in what context does it serve in today’s world? 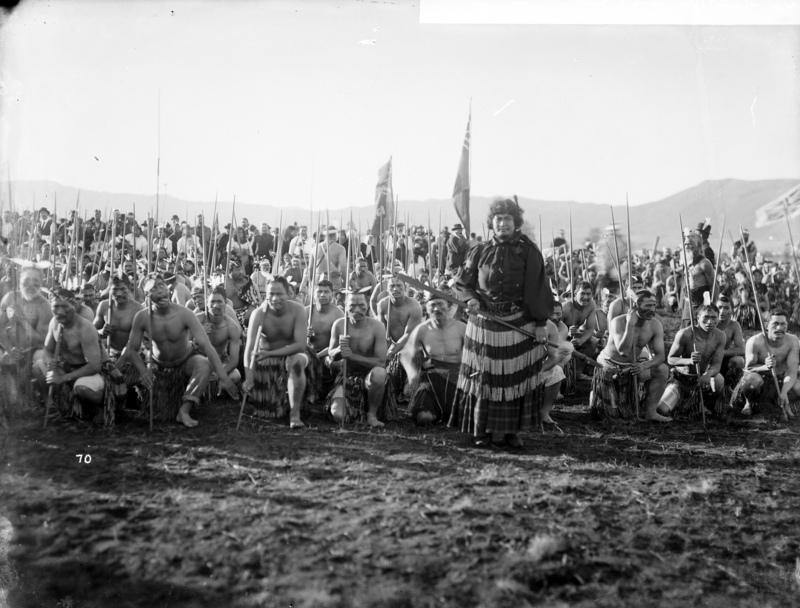 As a witness to the Haka you as the viewer would see a wall of people coming closer to you as this wall approached you would begin to hear deep chants. Chants repeated by this line over and over again as a unison ……the line counties to move slowly closer. As the line creeps forward the chants become louder you begin to notice the ground beneath you beginning to shake and rumble as the steps of the line almost seem to be shattering the earth……the line counties to move closer. By this point the line is close enough to were you the on looker can see the fire in the lines eyes , a line of people chanting and stomping together moving slowly closer to you without hesitation , what do you do ? run ? fight? ……the line counties to move closer. Playing off the physiological fear of human the Haka employs the power of intimidation to stun and confuse the opponents . Rather than attacking full force the Haka creates the sense of impending doom in which the aggression of the chants and the power of the stomps create an earth shattering destructive nature that directly effects the opponents fears. Through this we can see early signs of psychological warfare within what could be classified as a primitive tribe , a fascinating discovery within the context that this power explosion is at its root considered a dance. We often say that dance has the power to do this or that but what does this really mean ? Can dance shake the mountains or cause fear in the viewers eyes? Perhaps but to what extent and what purpose would or does this serve. Throughout this semester I have been looking at the many dance forms we have studied and wondered what have they offered to the dance world . We could argue these ideals for hours without ever coming to a true answer and that is because we all have different opinions . What one person sees as power the other may see as weakness and vise versa that is the beauty of this art we are free to interpret. For me and my understanding I consider the Haka to be a display of power in a pure form the question is what correlations can I find in today’s society that exudes this same power within our dance world. The Andes mountain range, located in South America, is the longest mountain range in the world. Some of the most amazingly beautiful and rich cultures are located along this mountain range. Countries such as Peru, Ecuador, and Bolivia as well as many others are found along this region and they all contain some of the most complex folkdances and music styles that you’ll meet. It is evident that the remoteness of these indigenous peoples of the Andean mountains has caused a lack of scholarly works that delve deeply into the history and steps of the dance style. The Huayño, or in Quechua the wayñu, is one of the most commonly practiced folkdances throughout the Andean mountain range. You can find it being performed in Chile, Bolivia, Argentina, and Ecuador but it originated and remains the most popular in Peru. This dance formed from pre-Columbian influences that include the indigenous peoples, the Quechua and Aymara. It is said that the huayño developed during colonial Peruvian times (mid-1500s) and has a mix of indigenous flare with the popular urban dances of that time. In Quechua the word huayñuni literally translates to a dance of twos, or dancing in pairs and the word huayño means dance. It is a dance often seen performed at most festivals and parties. Because of this larger setting, it is often performed by large groups of people even though it is a dance of two. The dance begins as many pairings dancing about and eventually the dancers will form a large circle with one couple in the middle. There are several formations that the dancers will go in and out of throughout the dance such as an arch for couples to pass through or an enclosed circle. The steps are very fast and intricate stamping movements. The man follows the woman throughout the majority of the movement and the man is typically very happy and celebratory by nature. In modern performances there is no particular dress code. When performed by the indigenous people of the Andes the men are typically found wearing ponchos and trousers. The women can be seen wearing skirts, traditional blouses, and braided hair. Like many other folkdance forms that we’ve run into, the music and the dance are one. If you are looking for information on the huayño dance style it is to be expected that you will read many articles that focus highly on the music of the huayño but it is important to realize that this is okay because the dance relies so heavily on it. The original instruments of the huayño music include the quena (flute), sika (panpipe), harp, guitar, mandolin, lute. In present day it is common to see this music performed by a saxophone and it may also have an accordion present. Early huayño is often performed by a high-pitched vocalist but now that part has been given to the saxophone. 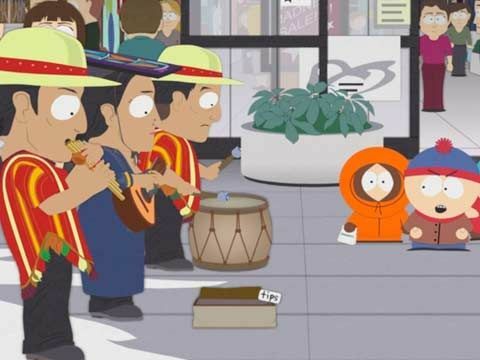 Andean flute music has been commercialized and even appeared in a recent South Park episode. The sound of the panpipe and the flute is familiar to most who hear it and this Andean music is less segregated than the dance style is. Herrera-Sobek, Maria. “Celebrating Latino Folklore: An Encyclopedia of Cultural Traditions, Volume One.” Santa Barbara:ABC-CLIO, Incorporated, 2012. Mendoza-Walker, Zoila. “Contesting identities through dance: Mestizo performance in the southern Andes of Peru.” Repercussions 2.3 (1994): 50-80. The Republic of the Philippines is an archipelago that is just east of southeastern China and north of Indonesia. It has been a territory that has been sought after by many nations due to its geographic location. Hindu, Arabic, Malayan, Spanish, contemporary Western and many other influences have been woven into the Filipino cultural fabric. Due to these invasions, the Filipino culture has experienced numerous influences and has infused many other cultures into their traditions. Traceable within the repertoire of traditional and contemporary Philippine dance are the cumulative influences of a number of foreign cultures. Most styles of dance can been seen in their original form in the remote mountainous regions of Luzon. Inhabiting the rugged terrain of the Luzon mountain region are six ethno-linguistic peoples known generically as Igorots or mountain people. Although each tribe of the Igorots has its own distinct movement patterns, the Igorots share common religious beliefs, and offer praise to anitos or household gods during their dances. Such dancing is usually in vacant areas of the village where the tribesmen dance in a way that is meaningful to the specific purpose of the dance, such as war for example. Among these people, dancing continues to be an expression of community life that animates the various rituals and ceremonies. As with many non-literate societies, the Igorots dance to heal, worship ancestors and gods, and insure positive outcomes during war, harvests, and weather. They dance to ward off misfortune, to congregate and socialize, to mark milestones in the life, and to express repressed feelings. Compared to other Filipino ethnic and folk dances, Igorot dances tend to have less structure and formality. There are many steps within the tribe’s dances that remain similar. 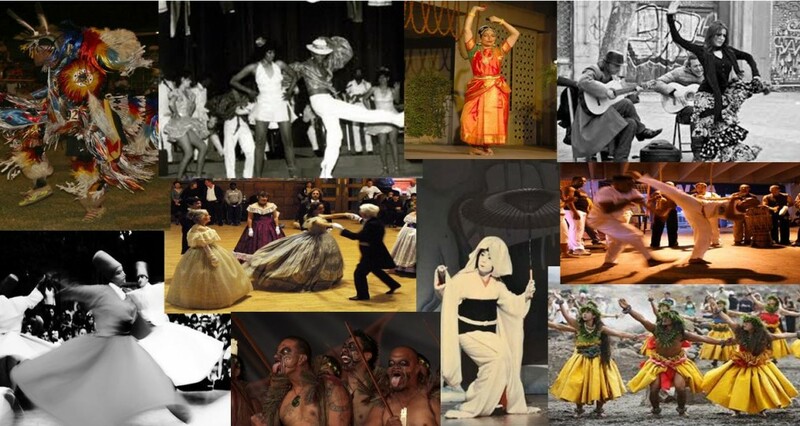 Each tribe complicates and individualizes their own dance by implementing different approaches to dynamic, emphasis, dramatization, spectacle, and costuming. Different tribes are known for their different dances such as war dances, courtship dances, or wedding dances. Some common steps that are featured in most dances are of the close-to-the-earth type such as shuffling, jumps, hops, and a bending of the knees with the upper trunk stretched diagonally forward. The hands move with the music with a variety of stiff hand positions. The arms are typically extended to the side at shoulder level, moving up and down as if the dancer is flapping their wings. Most steps and movements of the hands go downward to express their bond to the earth. The symbolic rising of one arm obliquely forward and upward is a characteristic prayer attitude in Igorot religious dances. The direction of the palm also holds symbolic significance for the Igorot people. When the palm faces the earth, this expresses the dancer’s respect for the gods and when the palm faces the sky, the dance is to request a favor such as a good harvest, favorable weather, adequate rainfall, recovery of a sick relative, or even to pacify the anger of evil spirits. Toes, employing creeping and pawing gestures, are pointed forward, heel flat on the ground. The movement tends to be light and the dancers spur the ground with their feet and usually beat the ground — they use their heels sparingly. Rising on tiptoe and dropping down again, or first lifting one foot and then the other, the dancer remains in one spot or moves forward to one side, very slowly. In the Igorot dances, we find that men and women take on different roles in both leadership positions and movement style. For instance, women tend to lead in courtship dances while men lead during wedding dances. 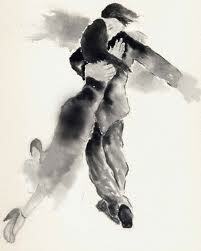 The women tend to dance with less movement of their feet than the men. At times, women participate with a sort of backward pawing movement, which throws dirt and stones into the air behind them. In many cases young girls will imitate their mothers as they dance, which shows that portions of this Filipino dance are learned and passed down through movement experience instead of verbal or structured learning sessions. When in the center of the circle, men may execute similar movement to the women but with added motions, adding balancing and tilting of the body, especially of the arms, and with rapid trembling and quivering of the hands. For some of the Irogot people, singing and chanting accompanies the dance along with music, which usually consists of flutes and percussive instruments to set the rhythm and tempo. The highest prioritized instrument is the gangsa or gong, which keeps time in the dance. The gangsa is a flat metal gong about a foot in diameter, about 2 inches deep, and commonly made of bronze. There are three types of gangsa. The first is the kalos, which is the smallest and gives a spreading sound, which balances the tune of the other two gangsa. The second type of gangsa is the sar-ong-ko-ongan, which is larger and produces a bass tone. The third kind of gangsa is the marwas, which is a similar size compared to the sar-ong-ko-ongan, produces a tenor tune. Only males beat the gangsa by striking the outer surface with a short padded stick. When played simultaneously, these gangsa produce a wonderful harmonizing sound. In addition, there are a series of bamboo instruments, which include the taongatong, balingging, bunkaka, solibao and gimbal, palas, pattung, and kulibet. The taongatong is a series of short bamboo tubes that vary in size and are played by being tapped on the ground. The balingging is a bamboo nose flute that is blown by a single nostril. A bunkaka is a bamboo percussive instrument that has split forked ends. The solibao and gimbal are drums produced from the formation of hollowed out logs and animal hides. Other percussive instruments include the palas, which are a pair of metals bars that are struck together, and pattung, which as wooden clappers. The kulibet is a type of bamboo guitar. All these instruments in various combinations with the predominant gangsa are what you would most likely hear during an Igorot tribe’s dance. For the most part, the traditional attire for these indigenous dances is bare skin, including bare feet and upper bodies. Both genders wear various amounts of woven wrap around their waists. For males, this wrap is similar to what is commonly thought of a loincloth with extra fabric that lies down the back surface of the sacral area. The women tend to have more gathered fabric around their waist and have no coverings of their upper body. In some cases, the woven fabric is worn as a larger article of clothing, which drapes from one shoulder to the opposing hip. Lastly, it is common to see the women of these indigenous tribes wear necklaces of various lengths, which are made from the stringing of large colored beads. These necklaces hang around the women’s’ necks either diagonally across their chests or directly centered on their sternum. In sum, a rich variety of cultures have woven their influences into the complex artistic tapestry of the Philippines. These influences hail from all around the globe, yet the heritage of the Filipino people, especially in the realm of traditional and contemporary dance, lives on in perpetuity because of the Igorots — the six ethno-linguistic peoples who live in an isolated mountainous region. The Igorots have remained mostly free of outside influence due to their strong cultural roots and their geographic isolation. As a result, dance scholars and Filipinos alike should be grateful that the there were people like the Igorots who were shielded from outside influences and could preserve part of Philippine traditions. Alejandro, Reynaldo G. Philippine Dance: Mainstream and Crosscurrents. Ed. Basilio Esteban Villaruz. Hong Kong: Vera-Reyes Inc., 1978. Ness, Sally Ann. Body, Movement, and Culture. Philadelphia: University of Pennsyvania Press, 1992. Tolentino, Francisca Reyes. Phillipine National Dances. NYC: Silver Burdett Company, 1946. The Biyelgee – Mongolian Folk Dance or Modern Dance Form? The Biyelgee is a traditional Mongolian Folk Dance which originated in ancient Western Mongolia and is steeped deeply in the Mongolian way of life. However, what struck me while watching the Biyelgee is its perceptible similarity to early modern dance. There were set dances people would perform in front of others. It wasn’t social dancing where people danced with others for enjoyment. There was highly symbolic movement. It was not a court dance reserved for the wealthy. The arm movement and use of the legs reminded me of dances of Ruth St. Denis. It is even able to be appreciated through the modern dance aesthetic. So what distinguishes this dance form if it isn’t perceptibly different from modern dance. Is it the music? Is it the costumes? These don’t seem like logical conclusions to make because we are not longer talking about qualities inherent in the dancing, and even if we try to make the claim that the music and the costumes affect the dance, then there is still the problem if someone decides to use traditional Mongolian music and costumes in modern dance. It still seems as if we would still claim that the piece resultant from it would still be modern dance and not Mongolian Folk Dance. So what can we use to explain this difference if there does not necessarily have to be a perceptible difference between Mongolian and modern dance? The difference would probably be one of artistic vs. aesthetic difference. If we appreciate something aesthetically, we are appreciating it for its qualities, how it makes us feel when we observe it. We can appreciate trees, rivers, blocks of cement, works of art all aesthetically. The difference between the aesthetic appreciation and the artistic appreciation is that artistic appreciation requires something to be a work of art which means that there needs to be an entity creating the work of art. (We will set aside questions about the sentience of Nature and/or God for now as this is not intended to be a work of theology). This means that what we appreciate as a work of art is bound by its creator and the creator’s place in the cultural and historical narrative. So the appreciation of a work of art, artistically at least, is reliant upon a knowledge of the cultural and historical factors leading up to its creation. So if modern dance and Mongolian folk dance are to be appreciated artistically as separate entities, what about their cultural place in history are divergent? Well, modern dance was a reactionary movement from the world of classical dance, seeking for more freedom and its own way of expressing itself. Mongolian folk dance was not a reactionary movement. Mongolian folk dance was developed as a result of the cultures and customs of nomadic people. Each aspect was intended to express different aspects of the culture. Milking cows, hunting, household labor, all were symbolically expressed through the Biyelgee. The meaning of the Biyelgee and how it ought to be viewed artistically are highly steeped within the culture of Mongolia. Even though it is possible to appreciate the Biyelgee aesthetically through the culture of modern dance, it ought to be recognized that a lineage of knowledge of and ways of living similar to the culture of traditional Mongolians are necessary for the proper artistic appreciation of the Biyelgee.